The abortive 6th boundary view was largely justified on the need to address some bias in the electoral system. You will notice this fairly quickly if you have a quick play about with the swingometer - if you leave the Liberal Democrat share of the vote unchanged then the Conservatives need a lead of 11 percentage points over Labour to win an overall majority, while the Labour party can achieve an overall majority with a lead of about 3 percentage points. Equally illustrative are the last two general election results - in 2005 Labour had a lead of 3 points over the Conservatives, and got a majority of over 60 seats; in 2010 the Conservatives had a lead of 7 points over Labour, but did not have an overall majority at all. Prima facie this appears unfair. This is a different issue from proportionality. The currently electoral system, "First Past the Post", is not supposed to be a proportional system. The proportion of total votes received does not necessarily resemble the shares of votes case, and smaller parties in particular tend to struggle to get representation unless their vote is geographically concentrated. The fact that FPTP favours larger parties and punishes small ones is very much a feature, rather than a bug - its defenders would argue that the system is supposed to lead to a strong two-party system, with the winning party having a majority of seats, while its detractors would say that we would be better having a proportional system, such as STV. First Past the Post is intrinsically "unfair" towards smaller parties, and intrinsically favours the winning party - that's a different issue. This page looks only at the reasons why, even if both parties have the same level of support, the system apparently favours Labour more than the Conservatives. There are well known extremes in size in seats - notably the huge Isle of Wight seat and the tiny Na h-Eileanan an lar - but these are for specific geographical reasons. This is a more systematic problem. Leaving aside Wales & Scotland (see below) the smallest seats in England are mostly Labour strongholds - places like central Newcastle or Liverpool. The largest seats tend to be Conservative voting, rapidly growing parts of the south-east. Of the twenty smallest seats, 12 are held by Labour compared to 5 by the Conservatives. In the twenty largest seats the position is reversed, there are 12 Conservative seats and 6 Labour seats. The reasons for this pattern are to do with the demographic trends in the UK and the delay in carrying out and implementing boundary reviews. While there are exceptions to the general rule, such as East London and central Manchester, the tendency in recent decades is for the population in the declining industrial north to fall, while the population in the rural south and the London commuter belt rises. These types of area also tend to be very Labour and very Conservative respectively, leading to a political impact. At each boundary review the Independent Boundary Commissions iron these differences out, but over time the Conservative seats grow and the Labour seats shrink, and the bias towards Labour reappears. Because the effect of boundary changes is one way, any delay in keeping the boundaries up to date with population movements tends to be to the advantage of the Labour party and the disadvantage of the Conservatives. There is almost always some degree of bias from this source because boundary reviews are conducted every 8 to 12 years, and often take many years to conduct. Hence the current boundaries, which began to be used in 2010, are based on the electorates in the year 2000, so will already be 15 years out of date when the 2015 election is held. The previous boundaries were based on the electorate in 1991, so were 6 years, 10 years and 14 years old at the three elections they were used for. 2) Over-representation of Scotland & Wales. While it was changed in 2011, under the legislation that the current boundaries were draw up under there were separate electoral quotas for Scotland, England and Wales that were not pegged against one another - hence if the population in one of the UK's nations grows the electoral quota will also grow, if another nation isn't experiencing the same population growth, their electoral quotas will slowly diverge. After the creation of the Scottish Parliament the over-representation of Scotland was removed and their boundaries were redrawn using England's electoral quota. 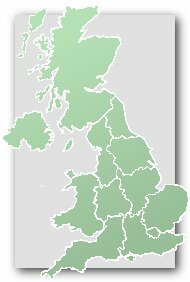 Wales however continues to enjoy over-representation at Westminster- using England's electoral quota they would have 32 seats, but thanks to the lower electoral quota in Wales they currently have 40 seats. Since Wales contains large numbers of Labour strongholds, this benefits Labour. 3) Differential Turnout. A number of seats a county gets in boundary reviews depends upon the electorate, not how many of those people actually vote. Imagine if there were two seats, one solid Labour and one solid Conservative. In the Labour seat turnout is only 10% but in the Conservative seat it is 90%. Both seats would return one MP, but if you totalled up the vote for both seats the Conservatives would have 90% of the vote. This is a simplified version of what actually happens in most British elections - social groups who vote Labour also tend be the social groups with a low turnout, hence Labour seats tend to have lower turnouts than Conservative seats. 4) Support distribution the nature of the First Past the Post electoral system is that lots of votes are "wasted". Votes for party that isn't in contention to win a seat are not going towards electing an MP - equally, if a party already has 50% of the vote in a seat then any votes over and above that are "wasted". In terms of winning seats it is far more efficient for a party to have lots of seats with about 45% of the vote than fewer seats with 70% or 80% of the vote. In recent years the distribution of Labour and Conservative support hasn't actually been hugely different - though Labour do have slightly more seats than the Conservatives where they have 40-50% support, the ideal distribution of a party's vote. 5) Tactical Voting. Tactical voting is when supporters of a party that is unlikely to win in a constituency instead vote for a party with a better chance of winning in order to prevent a third party which they dislike of winning. In practical terms, for the last few elections Liberal Democrat voters in seats where the Lib Dems cannot win have voted tactically for Labour to stop the Tories, while Labour votes in Conservative/Lib Dems marginals have voted tactically for the Lib Dems to stop the Tories winning. This has further increased the number of seats that Labour get at the expense of the Conservatives. This means that in practice in seats where Labour win between 35% and 40% of the vote, they very often win them, as the rest of the vote is divided between the Conservatives and Liberal Democrats. In contrast, in seats where the Conservatived win between 35% and 40% of the vote they very often miss out on winning the seat because Labour and Liberal Democrat supporters have voted tactically for whichever party has the better chance of beating the Tories. This is not 'bias' of course, it is people making voting decisions based on the electoral system on how to use their vote in the most useful way, but it is a further explanation of why the system appears to be biased towards Labour. While the turnout effect is largely socio-economic and is likely to remain to some extent, tactical voting patterns are obviously dependent upon the politics of the day - were Labour and Liberal Democrat voters to become more reluctant to lend their votes to the other party, then the effect could easily fade away.